Among many others, at the IPM Essen one can visit Hall 1A for the BLOOM's "GREEN CITY!" - booth. A world of concepts, themes and products will be shown for florists and garden centers. The main theme is Urban Gardening. Therein ABZ Seeds will promote its Summer Breeze Rose and Delizz strawberries, which perfectly fit this trend. Hall 1A at IPM is this year’s Green City: the presentation of BLOOM's green world. The theme of this location is "Urban Gardening" where a number of trends, concepts and product presentations will be shown to florists, garden centers, wholesalers and other professionals. You will be inspired and it will give you an impression of promising POS concepts. Trends in urban gardening can no longer be ignored in today's society. The interest in healthy products is increasing and a small garden with easy grown products is very popular. Research has shown that children who grow their own fruit and vegetables, learn more about nature and eat much healthier. Both adults and children are happy to taste their home-grown fruits and vegetables. The strawberry plant is an ideal plant to grow in a small vegetable garden. For a breeder it is very important to connect to these trends and to breed attractive strawberries for the consumer. Not only the looks of the plant, but also the taste is very important. ABZ Seeds breeding program combines both looks and flavours. Its Summer Breeze Rose strawberry looks very attractive because of its richly filled double-flowered colour. And of course, the plant will provide delicious fruit in the summer. The Delizz strawberry plant, in its attractive potcover, really appeals to the consumers. The plant has both flowers and strawberries that makes this plant a perfect gift to someone you love. Any hobby gardener, young and old, can grow strawberries themselves. To include the visitors on how ABZ Seeds matches these trends in the Green World you will be invited to Hall 1A opposite of the Greenhouse Trend presentation. 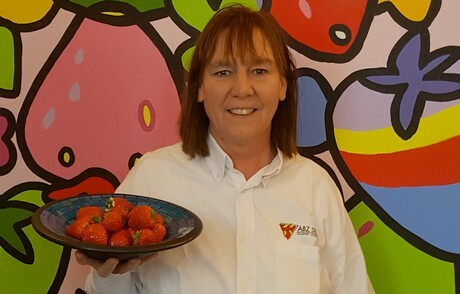 ABZ Seeds is available to show you the ABZ Seeds solutions of adding value in the product chain and offering you a delicious ice cream with fresh Dutch sustainable strawberries. On Thursday and Friday you can meet their new Marketing & Communication employee Dorien van Engelenburg. 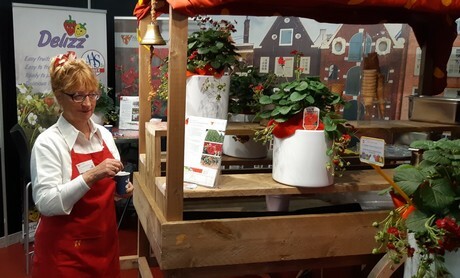 2019-02-18 "We meet people here who are into flowers in a big way"
2019-02-15 Myplant & Garden: "Italian horticulture is growing"